The main town of Budhanilkantha is situated approximately 20-30 minutes walk from Shivapuri heights Cottage and this is where you will find the splendid carved stone idol of the sleeping Vishnu. Carved from a single block of black basalt stone of unknown origin, the statue measures 5 meters in length and lies in a reclining position inside a recessed tank of water. 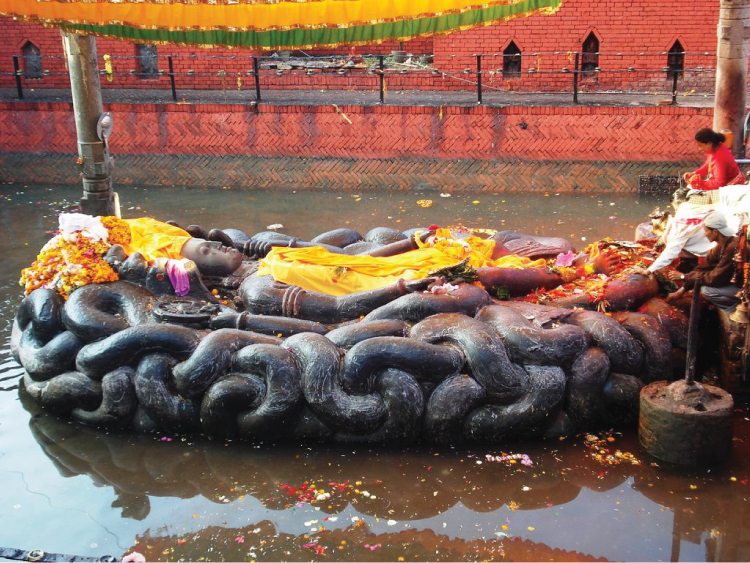 Only Hindus can approach the statue to leave offerings but other visitors can view the statue through the fence that surrounds the sacred tank and it is well worth picking up a local guide to listen to the history and myths surrounding this resplendent statue.